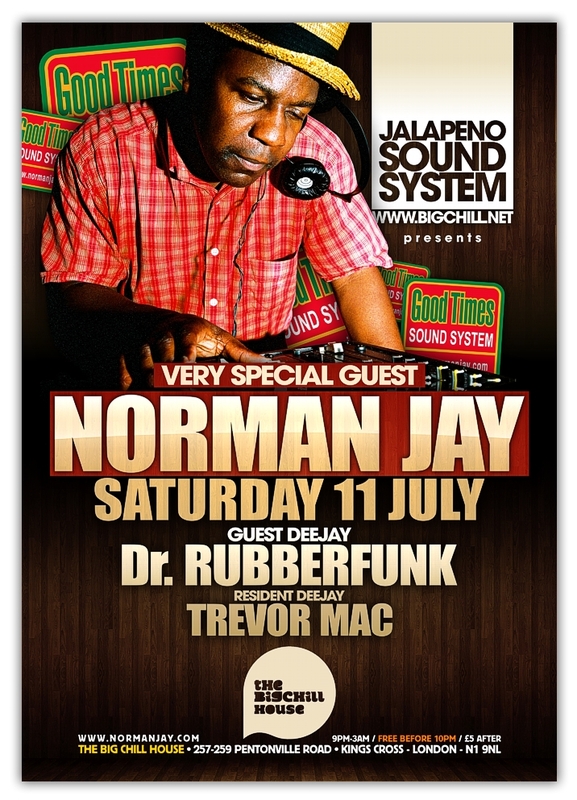 In July the summer soundystem party brings to the decks the legendary Norman Jay. An inspiration to Londoners and one of the best DJ’s in the world he will be ably supported on the night by the rumpshaking Dr Rubberfunk and Jalapeno label boss Trevor Mac. © 2009-2012 NuFunk.co.uk | Funky Breaks Blog & Forum. All Rights Reserved.